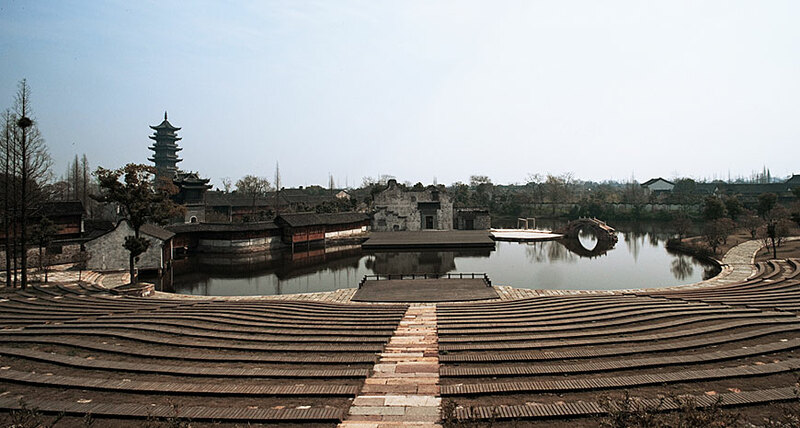 Wuzhen's Water Theatre is a stunning amphitheatre that seats over 2000 audience. 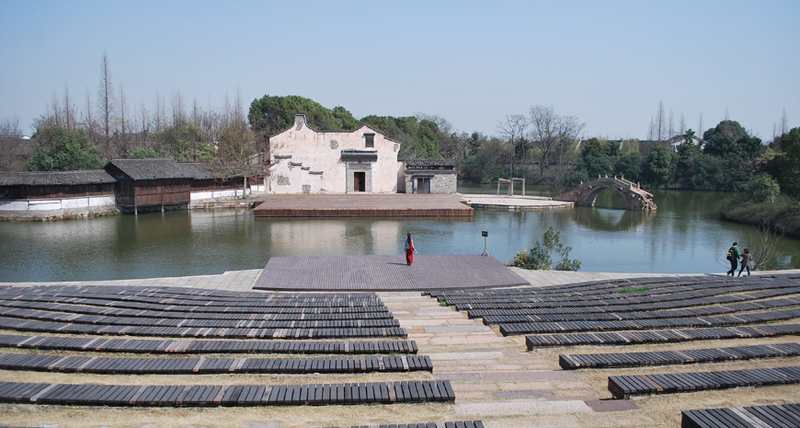 The audience views the performance across water, with ancient buildings in the background, framed by the ruins of a poetic broken bridge, and the stately Bailian pagoda in the distance. 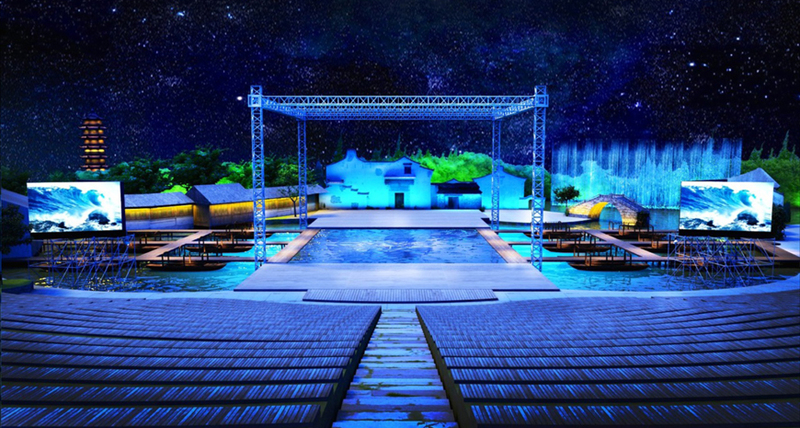 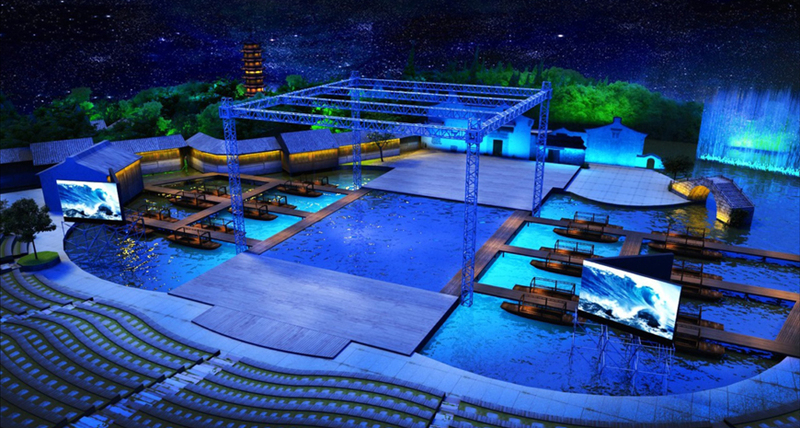 On the edge of Wuzhen's old town, the Water Theatre is a unique and magnificent venue for outdoor theatre.